Totally Renovated! Brand New Flooring and Paint Throughout! Nestled in the quiet family friendly Ekota community this amazing townhouse is sure to impress! You'll enjoy being surrounded by various school and parks, including the brand-new facilities at Father Ivor Daniel Park! There is even a small strip-mall across the street which offers a small bakery, an auto shop, a bar, a pizza place and so much more! Plus, with Millwoods Town Centre and the surrounding retail and restaurants you won't have to go far to find everything you need and want! The entire complex has been renovated and now features beautiful vinyl siding, updated windows, and beautiful wood fencing. Plus, the roof was just replaced as well! 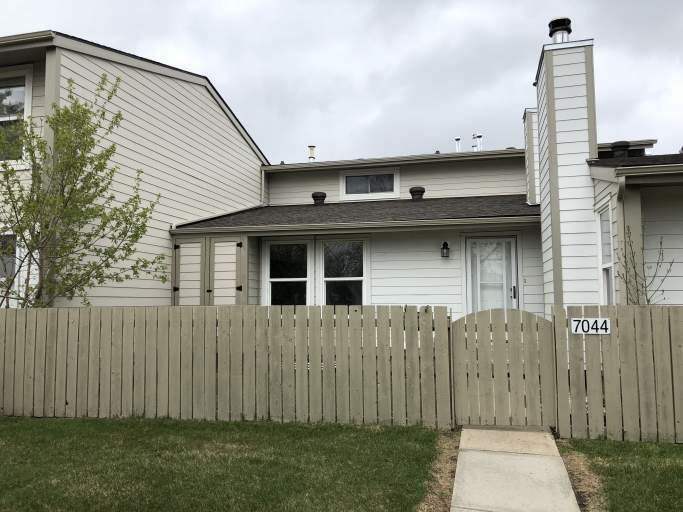 Inside this bungalow style townhouse, you will find tons of natural light, brand new grey vinyl plank flooring and modern paint colors in every room. Enter through the front door and be greeted by a large front entry with built in closet space. Continue into the open concept living and dining room and find large windows, a beautiful fireplace with a beautiful dark grey stone feature, and enough space for all your furniture! Off the living room is a functional kitchen with modern white cabinetry, dark countertops and white subway tile backsplash! You'll love the modern finishings in this unit! The kitchen is completed with a full-size fridge and stove. Down the hallway are two spacious carpeted bedrooms each with large built in closets and huge windows! A full bathroom complete with a tub shower and a large storage closet along the bedroom hallway complete the main floor. The basement level is totally unfinished and makes for a great play or storage area, while also serving as the laundry room.